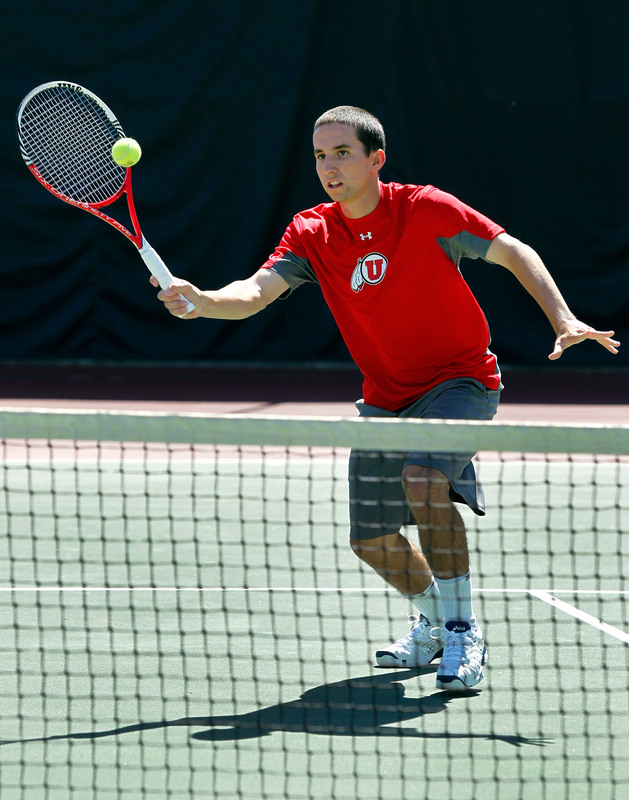 Las Vegas, Nev. – The 53rd ranked University of Utah men’s tennis team (11-3) edged the UNLV Rebels (4-7, 0-1 MWC) Thursday at the Fertitta Tennis Complex. The Utes fell behind 1-3 but fought back to win 4-3. After losing the doubles point, Sophomore Matt Cowley evened the score at 1-1 by defeating Ozzy Abraham 6-2, 6-2. Senior Slim Hamza and Junior Ben Tasevac fell at #1 and #2 singles respectively. The Utes found themselves down 1-3, but Freshman Patrick Mayer chipped away at the Rebels lead, defeating Jakob Amilon 7-6(3) 6-4. Senior captain Alejandro Medinilla equalized the match after winning 6-4, 7-6 (6) over Willie Sublette. Senior Devin Lane came through in the clutch for Utah; despite losing the second set, Lane clinched the match for the Utes, winning 6-0, 6-7(4), 6-2. The Utes are back in action today and will play No. 70 Marquette at 10 a.m. at Fertitta Tennis Complex in Las Vegas, Nevada. This entry was posted in Schedule/Results and tagged Alejandro Medinilla, Ben Tasevac, Cedric Willems, Devin Lane, Matt Cowley, Patrick Mayer, Roeland Brateanu, Slim Hamza, UNLV Lobos, Utah Utes. Bookmark the permalink.